Courtesy of David Hoffman - All rights copyrighted. 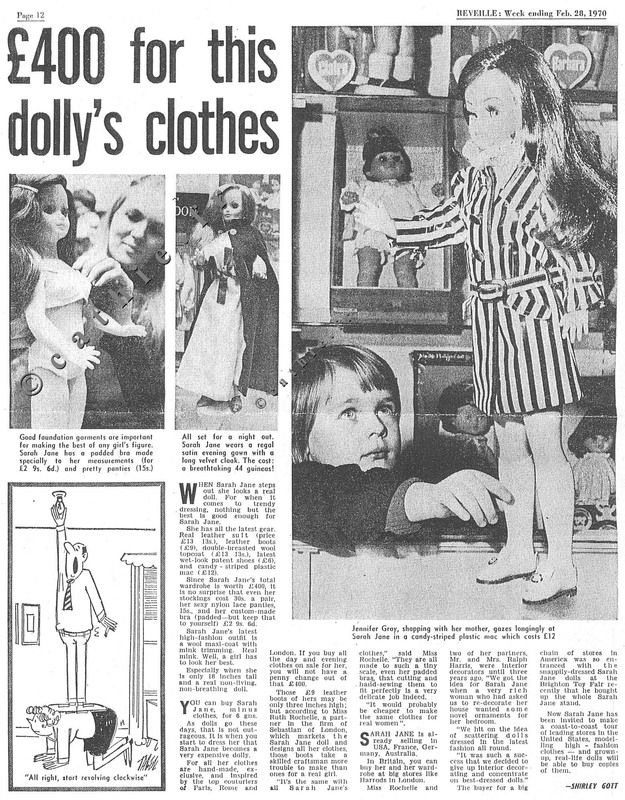 On 12/2/1969 a new doll Sarah-Jane hit the store at Hills, Heathrow airport , London. It was an immediate success ! Formerly known as the "Babe Ruth and her Yankees" in Holland, David Hoffman, Ruth Hoffman (Rochelle Harris) and her brother Ralph Harris became designers in the sixties. A rich woman from London asked them to make a special decor for a bedroom. Their idea was to display several dolls all around the room. 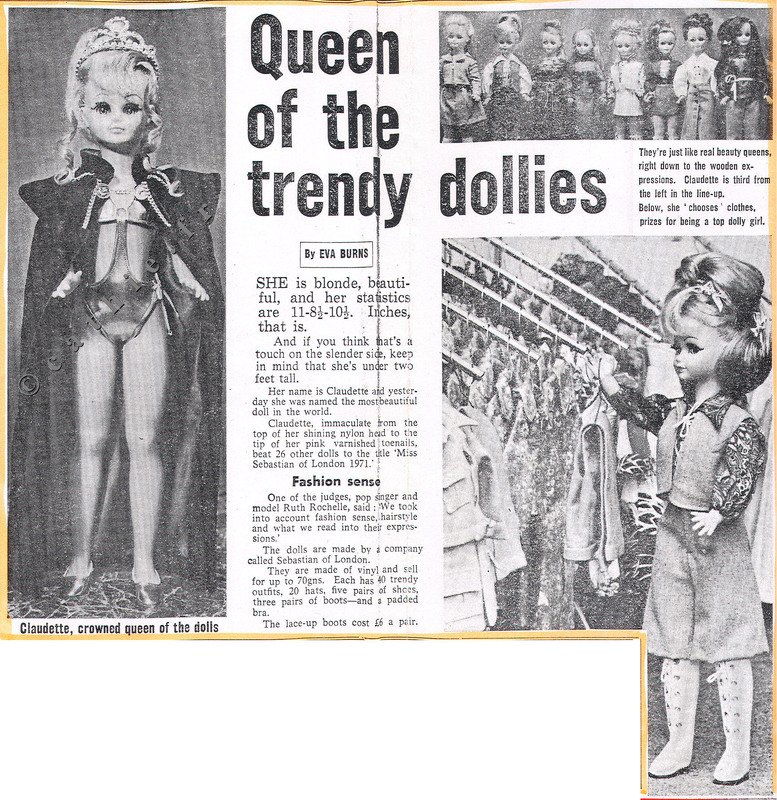 One hundred dolls named Betsie were bought from the french Bella factory. The result is amazing. 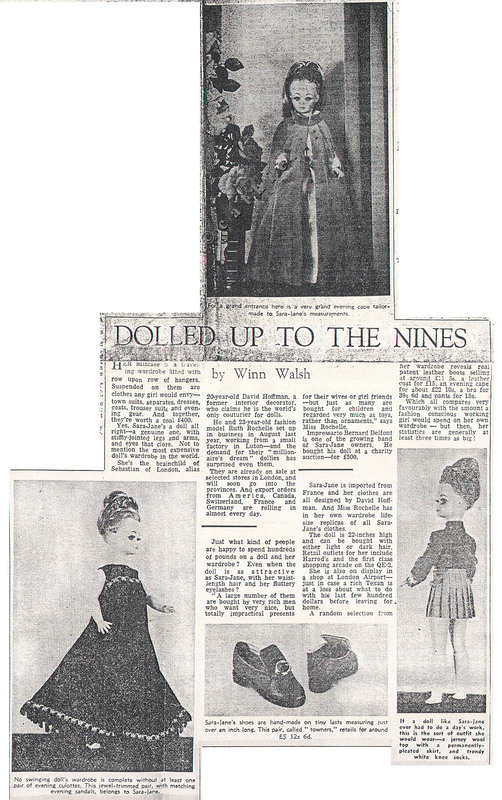 When they were asked to market those improved dolls, the success was so huge that the team decided to spent is whole time to this new project, the first High Fashion miniature collection. David Hoffman acted as a designer, Ralph Lesley/Harris as a couturier, Rochelle as marketing manager for "Sebastion of London" and Sarah Anne (Ralph and Ruth's mother) as make up and hair stylist for the doll named Sarah-Jane. Inspired by creations from Paris, Rome and London, he wardrobe was totally sewn by hands. Sarah-Jane owned a lot of accesories such as real leather boots, shoes, jewels,underwear...You can notice a red wool coat adorned with real fur. With make up and hair style, each doll costs 140£ and can reach 400£ with the complete wardrobe. 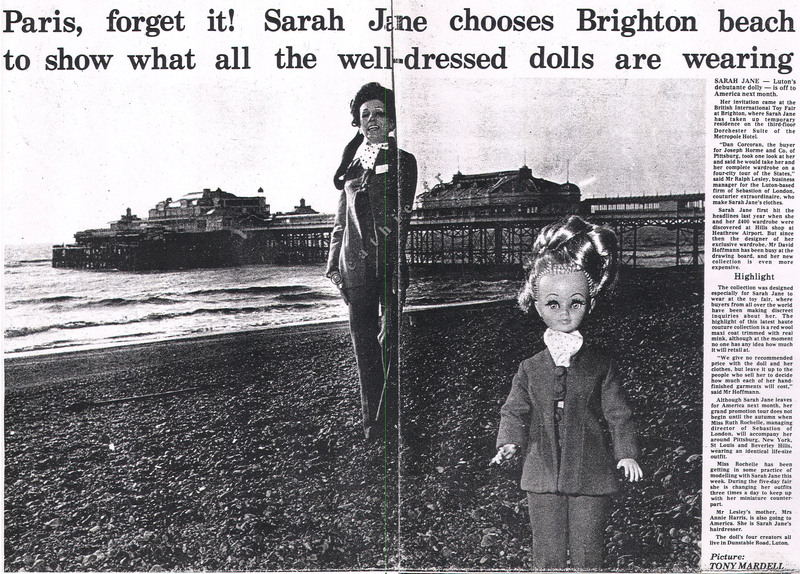 In 1969, Sarah-Jane was presented at the International Toy fair in England. Miss Rochelle, who wears the exact same dresses as the doll, changes her gown three times a day during the exposition. This was her best advertising. « Joseph Horne et Cie » bought the whole stand and the American career of Sarah-Jane began in march 1970. 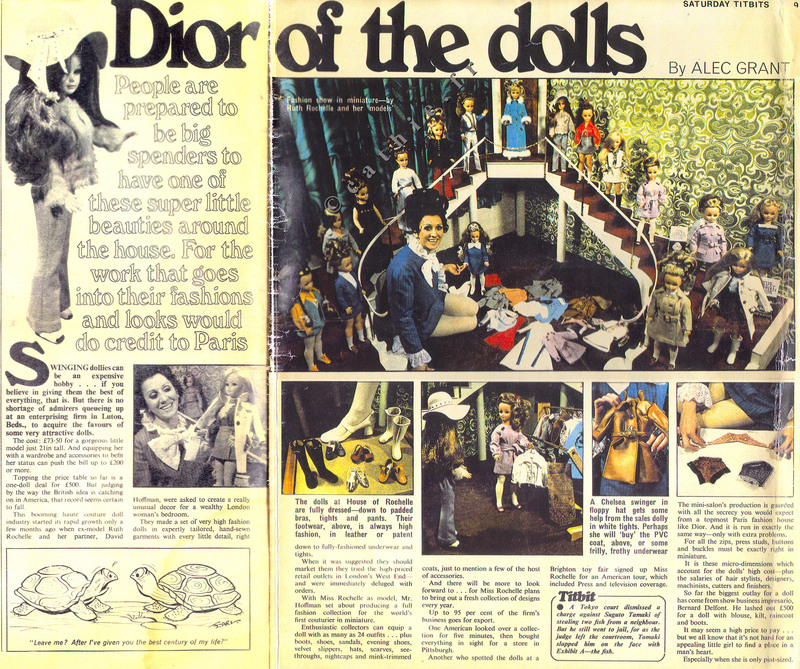 Most of the dolls were sold in the United States, one hundred models were created until 1974. Ruth Harris kept twenty of them. Lately, Sebastian from London gave up his doll and focused exclusively on human size fashion. Nowadays, the doll can be seen at the Museum of Childhood.